Tomorrow is Duck the Malls a craft fair benefiting the Olympia Film Society and I’ll be there as a vendor and will get to then check off my #2 on my 35 Things to do when I’m 35. I’ve been creating like mad and am really looking forward to it. My camera is not cooperating lately, so I can’t yet download a whole bunch of designs that I’m really excited about. 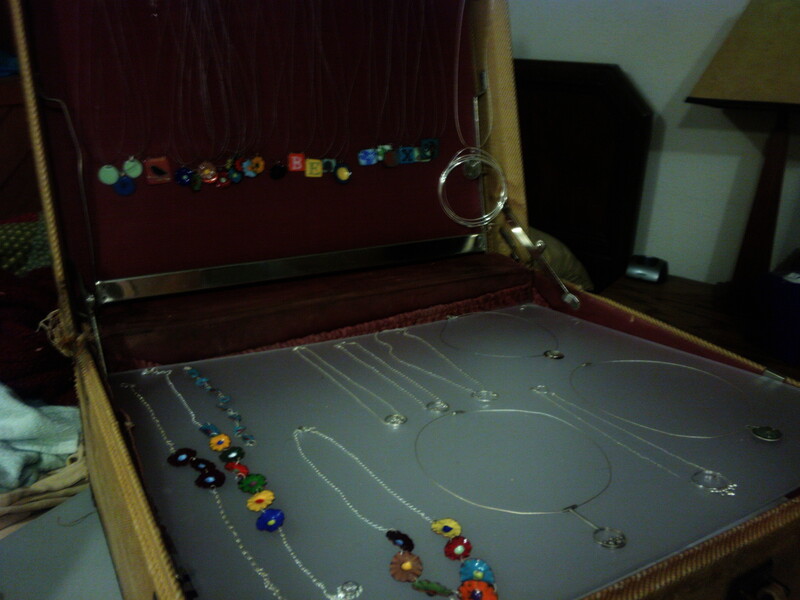 I did manage to get a couple of photos of the display boxes that I’ll set up. 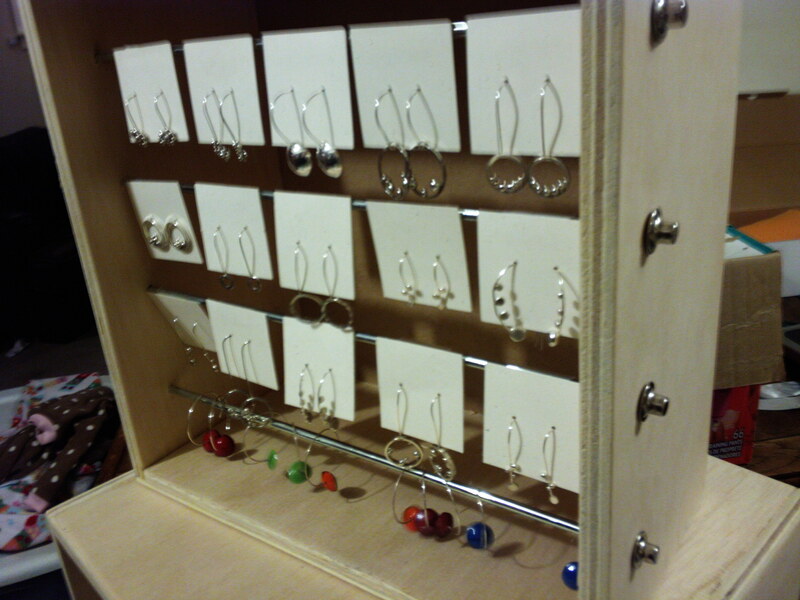 My wonderful husband made me two boxes with rods that hold all of my earrings. I have my father’s old suitcase that he used when he left home to go to college. It’s been just collecting dust and smelling increasingly bad. 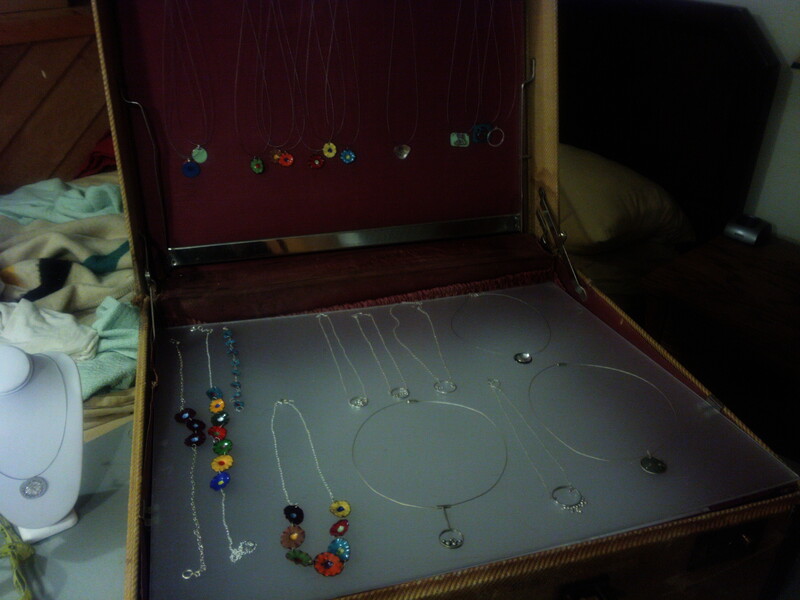 So just fit a piece of plexi across the top (and have tap lights to illuminate from underneath to display my necklaces. 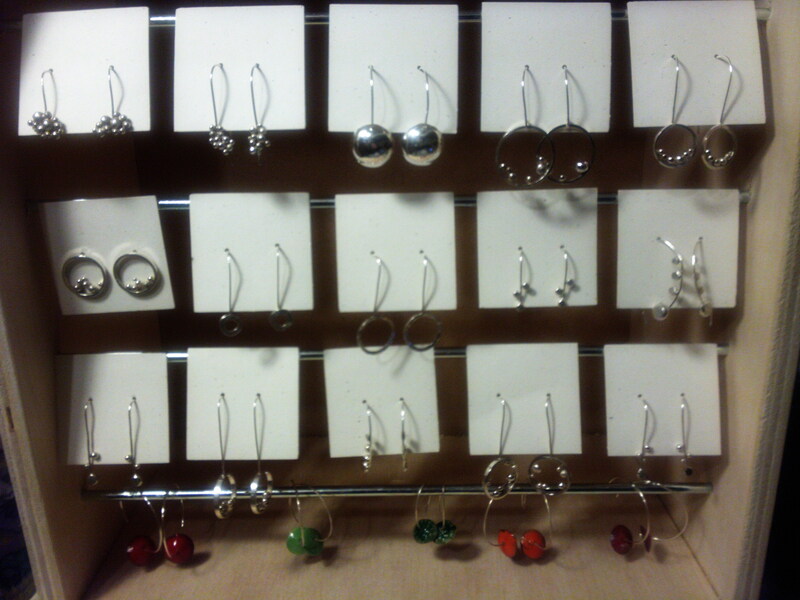 And also added a metal rod – so when it’s open can hang many more items. Best part – i can store everything inside and just close it up.